Virtual reality is now being used in the court room to help jurors make more informed decisions in civil cases. The wheels of justice aren’t known for moving quickly. When civil and criminal cases go to trial, photos and oral explanations only go so far in helping to build a case. 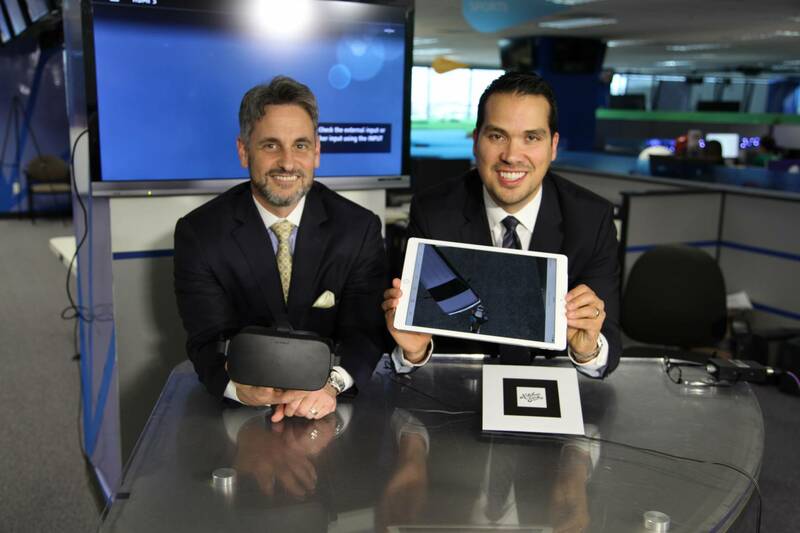 To help jurors make informed decisions, law firms such as Lamber Goodnow are beginning to use virtual reality (VR) technology in the courtrooms to help add context to complex personal injury cases. In a conversation with SnapMunk, Terence Murnin of Lamber Goodnow explained that the firm is currently using the technology with several cases involving catastrophic personal injuries. The turnover of these videos typically spans a few months due to the fact the VR environments need to conform to the legal standards of the courts. During the production stages, staff at Lamber Goodnow work with engineers, expert witnesses, and a production company to precisely and accurately recreate the scene where a catastrophic injury or wrongful death occurred. Costs for these recreations start at $15,000 but can go up to six figures depending on complexity. On a similar note, crime scene investigation teams are beginning to use virtual reality to improve the way they map incident areas. In some trials, jurors are able to have a “view” – the ability to visit the scene of a crime. The main issue with this technique is that these often occur months after the fact, meaning the scene might be completely different when visited. The BBC covered a Staffordshire University project which uses a variety of technologies to improve the way crime scenes are mapped. Although virtual reality technology in the courts is only now catching on, it was first used over two decades ago. The 1992 lawsuit Stevenson v. Honda, revolved around the safety of motorcycles and riders suing Honda over those issues. In their defense, Honda used VR systems to recreate the accident scene from the perspective of the rider. Ultimately the jury sided with Honda because they found the driver was going too fast in their environment. Despite the promises of VR technology, it will likely be some time before those systems are widely used in civil and criminal cases. Aside from costs, judges tend to be conservative when it comes to allowing new technologies in their courts. In fact, when lawyers first tried using video and photographs in trials, they faced similar challenges. Ultimately virtual reality technology will likely catch on over time. It’s really just a matter of establishing guidelines and regulations to ensure information from these systems is processed uniformly across all cases. Virtual reality has been nonexistent in U.S. courtrooms, however, burdened by logistical concerns, high costs, and legal fears it could prove unduly persuasive for impressionable jurors. If it was used in the courtroom that long ago, why wouldn’t you be able to use it today! Would something like have swayed the jury in the OJ Simpson case? Putting each juror in the shoes that Nicole Brown wore that day and making them see all the bad things that happened, right in front of their face? I can see how painting a picture to the jury can be a hard thing to do. I am just not sure if bringing the virtual reality world into something that impacts the real world right now is a good thing. Very much a good thing for those that work in the courtroom as well.